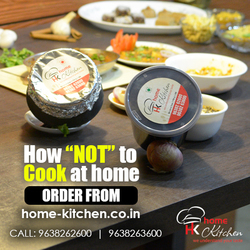 With home-kitchen.co.in Online Food Delivery Services in Vadodara is now faster and easier. Order your favorite Veg/Non-Veg delicacies from home-kitchen.co.in and get fresh and hygiene home cooked food delivered right at your doorsteps. We provide Customized Corporate Catering service as well as take Party Orders.